In Singapore this week, the solar PV Asia Pacific expo and conference has heard that the combination of relatively high electricity prices, and dramatically falling costs of solar PV (solar panels), have resulted in the emergence of retail grid parity for solar in Singapore. Grid parity is the point at which “alternative” means of generating electricity becomes equal in cost, or cheaper than grid power. The possibility of grid parity for solar power has been discussed a lot in recent years, and we’ve certainly been reporting the approach of the inevitable here. At the APVIA conference, attendees also heard how grid parity for solar should result in the increased uptake of solar in the city state, PV Magazine has reported. The Minister of State for Trade and Industry in Singapore, Lee Yi Shyan, said that 5.5 megawatts of installed solar capacity has been added to the nation’s energy pool so far. This is not a great deal, certainly not in world terms, so there’s plenty of upside in terms of installing much more solar capacity in Singapore. The International Energy Agency (IEA) sees significant potential for renewable energy in the Southeast Asian region. The Agency has predicted that 30% of electricity will come from solar in the region by 2030. This estimate could well turn out to be very conservative because, as we know, solar power is on an exponential growth curve, and costs are expected to keep falling dramatically in coming years. 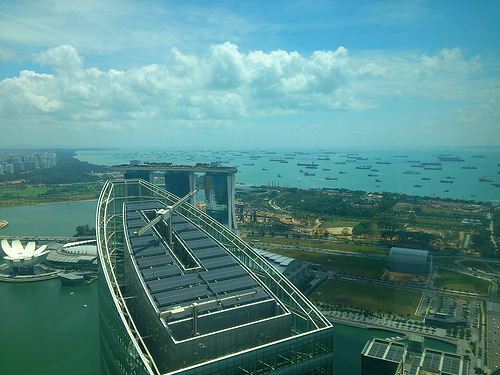 The future of solar power is bright, especially for those people wanting to generate their own, and this situation in Singapore is yet more evidence of that. In many countries, grid parity will be a crucial point in the rise of solar power.